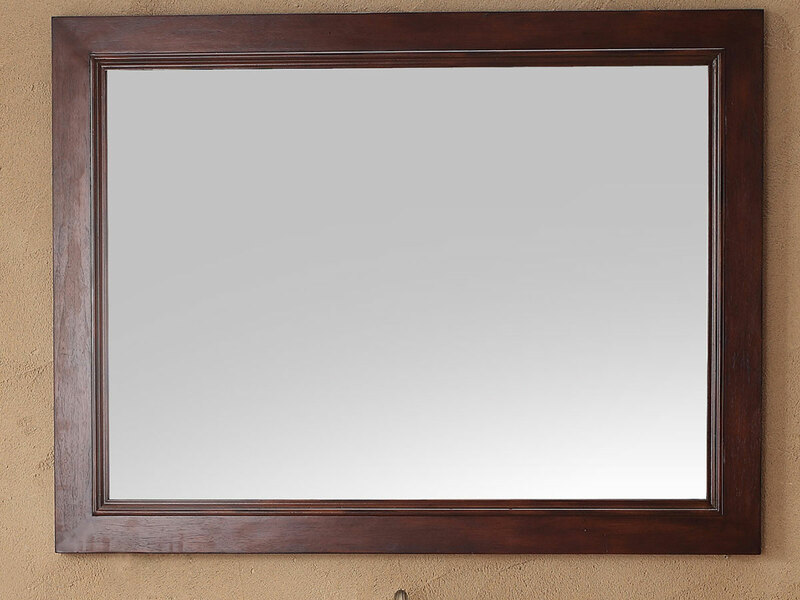 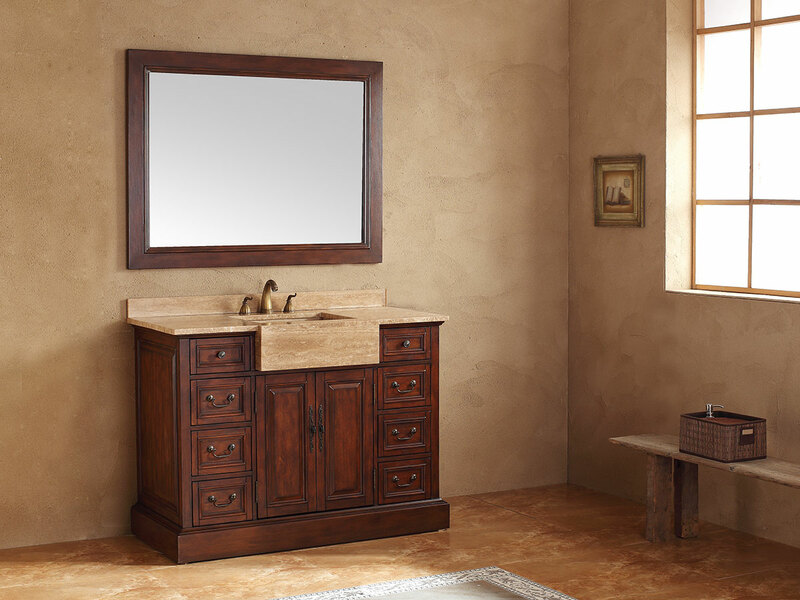 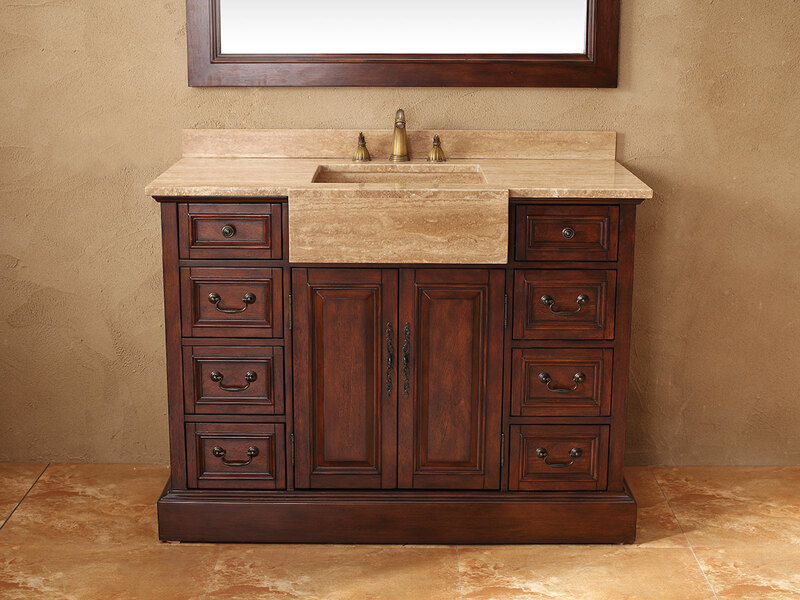 The 48" Carlow Single Sink Bathroom Vanity blends traditional style with the luxurious look of a modern travertine countertop and an integrated sink. 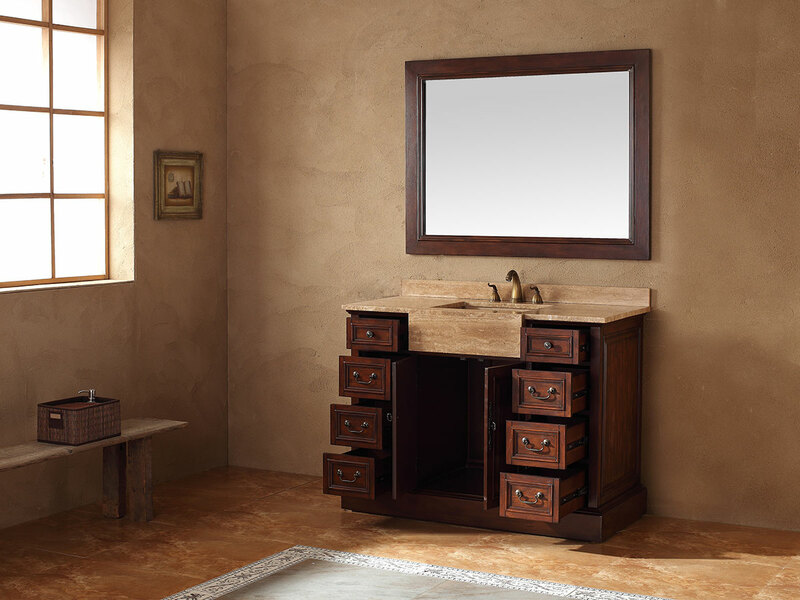 Lavish detailing in the drawer and cabinet handles lend to the charm of this bathroom vanity, while eight functioning drawers and two cabinet doors provide plenty of storage space and add function to the look. 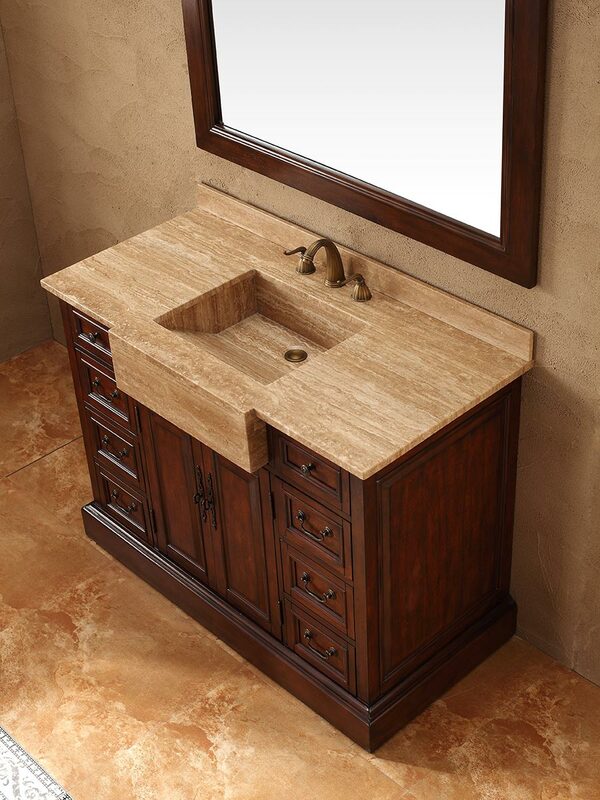 Its travertine top and integrated sink finish this piece of art with a stunning look, adding a touch of modern style. 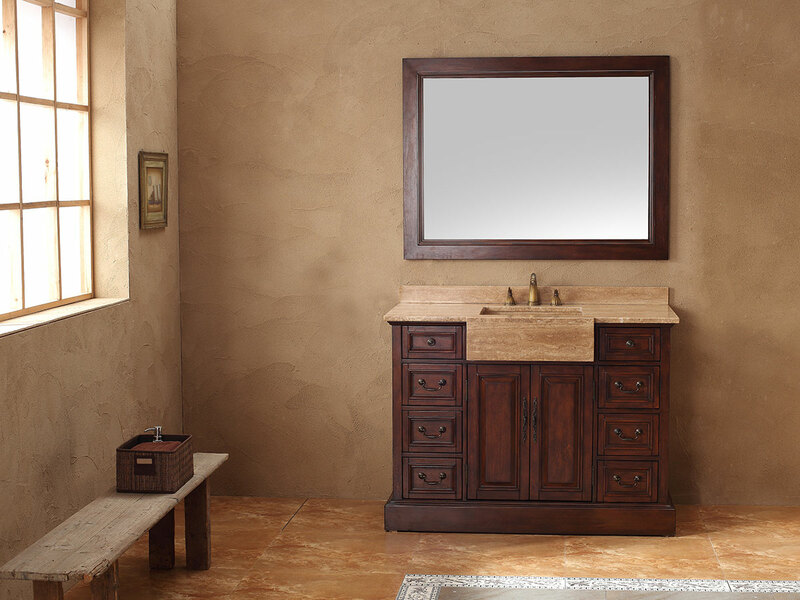 Choose your own faucet to complete this gorgeous blended look.